Congratulations on your decision to register for Young Entrepreneurs Business Week! During each program, students stay and study on campus with us for one whole week; registration includes meals, lodging and more! Tuition is $995 for Oregon students and $1,395 for out-of-state residents. Students must complete Business Week before enrolling. Students and parents must register online by credit card to guarantee a spot at YEBW. This deposit is a non-refundable payment toward tuition and must be submitted to process registration. Cancellations before May 1, 2018, will receive a full refund, excluding the $100 processing fee. Note: If you do not receive email confirmation, please check spam or junk folders and accept YEBW as a sender. Financial assistance is available for select students who attend YEBW. Corporate sponsorships are only provided to families residing in Oregon (and Clark, Cowlitz and Skamania Counties in Washington State). Students are also encouraged to fundraise. Sponsorships are granted at the discretion of YEBW staff. All funds for YEBW 2017 have been allocated. Aid is issued on a first-come, first-serve basis; please apply early for consideration. Business Week, Investing Week and Entrepreneur Week programs are college-accredited. 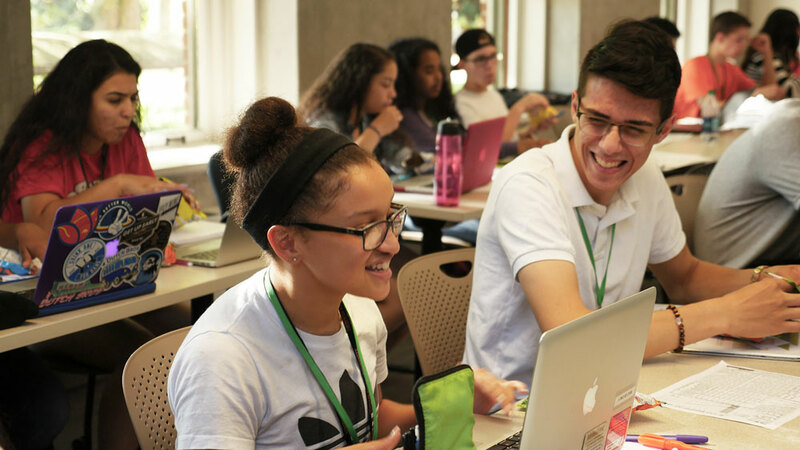 High school students who complete YEBW programs qualify for college credit through Oregon State University.